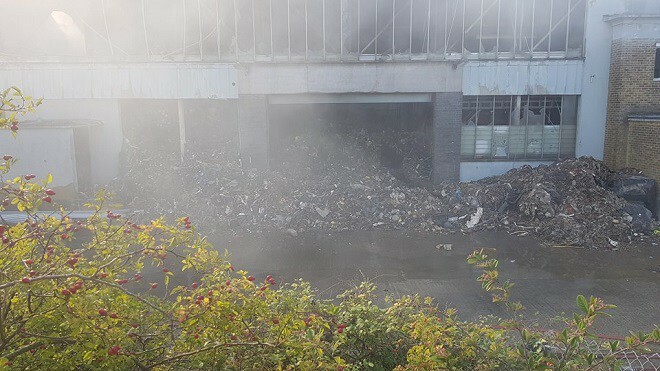 The representative of the owners of the Westwood Industrial Unit that has been on fire since Saturday (September 15) claims waste at the site was moved into the unit by the leasee who then left it there without the required licence. The unit is owned by British Virgin Islands company Conservation Property Holdings, says their UK representative, Biju Ramakrishnan. Mr Ramakrishnan said: “They (Conservation Property Holdings) rent out the premises. (The tenant) paid the first month’s rent and then put RDF (refuse-derived fuel) waste in there without any licence or authority. “There was a meeting last week with the owner’s representative and someone who was interested in buying the RDF and taking it away but since then there was the ‘arson attack’ on Saturday. Refuse-derived fuel (RDF) is made up of largely of combustible components of such waste, as non-recyclable plastics -not including PVC – paper, cardboard, labels and other corrugated materials. The Westwood unit was packed with 6,000 bales of the waste, according to the Environment Agency. 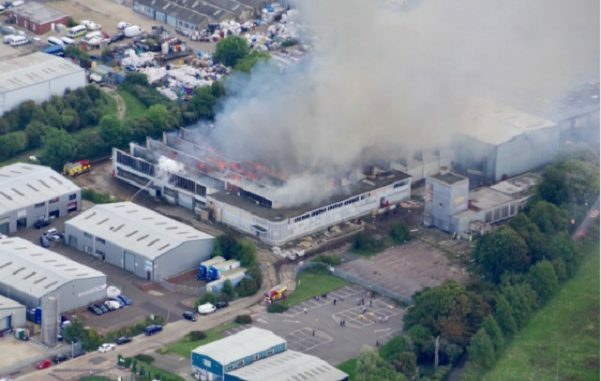 Fears that the site was a potential fire hazard due to the waste in the building were raised in a BBC report in January. And prior to that Thanet District Council officers visited the site in May 2017 and reported concerns about waste to the Environment Agency. The agency has confirmed an investigation was carried out and is ongoing. A spokesman said: “This is illegal waste. Our investigation is continuing. We did serve notice on the operator in 2017 to clear the site but that was ignored. “What we know is there are approximately 6,000 bales of waste and that is a mixture of all sorts of waste. The spokesman said more notices could be issued or a decision could be taken to launch legal action. 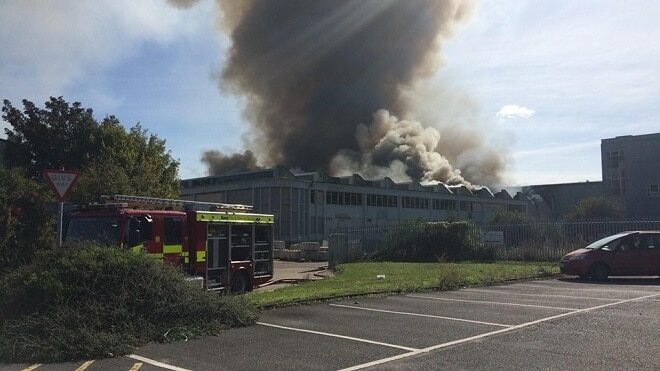 The spokesman added: “We are providing support throughout the response and recovery phases of the incident by monitoring any potential impacts to air and water quality across the Isle of Thanet area. East Kent Hospitals University Foundation Trust, responsible for hospitals including the QEQM at Margate, says there has not been a rise in people presenting with chest/breathing complaints over the last few days. Crews were called at 6.20am on Saturday (September 15) to the blaze. 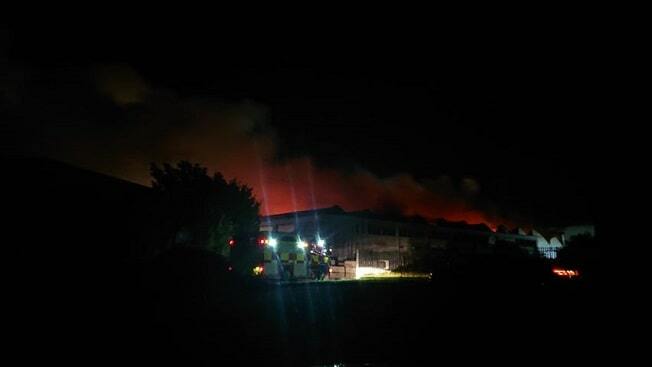 At the height of the fire there were 80 firefighters, 14 engines and specialist vehicles on the scene. 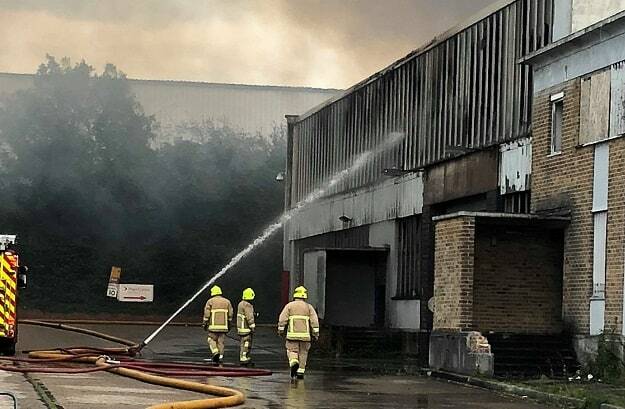 Firefighter Ian Thomson, who was the duty brigade manager at the scene on day one, said the blaze has been fed because the unit was ‘packed from front to back with ‘flammable waste’ including plastic wrapping, cardboard and wood. 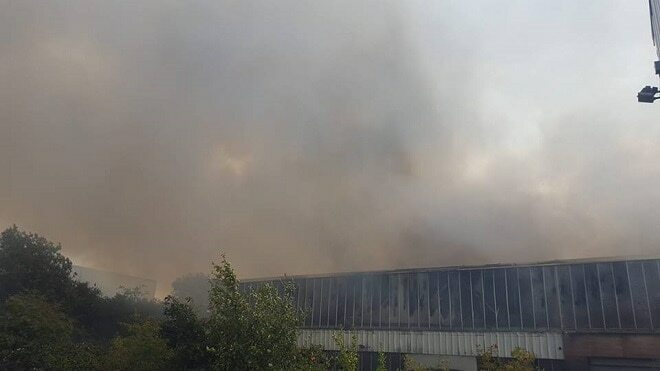 Today (September 19) a KFRS spokesperson said: “Good progress is being made at the Westwood industrial unit fire, however due to the size and makeup of the fire, firefighters will be on site for several days to come. Public Health England would be the agency responsible for monitoring pollution and air quality and the Environment Agency, which is in talks with the site owner, says PHE is taking the lead on that part of the investigation. The cause of the blaze has not yet been confirmed. There will be an investigation once it has been extinguished. The tenant’s representative at the time of the lease has been contacted for comment. • People living and working in areas affected by smoke should stay indoors and keep their doors and windows closed. • Motorists who have to travel through the smoke should keep windows closed, turn off air conditioning and keep their air vents closed. • Some of the substances present in smoke can irritate the lining of the nose, throat and lungs, the skin and the eyes. Symptoms may include coughing and wheezing, sore throat, feeling short of breath, runny nose or eyes or chest pain. In general, exposure to smoke is more likely to affect people who have existing breathing problems, lung or heart conditions. • People who are generally fit and well are unlikely to experience long-term health problems from temporary exposure to smoke from a fire. • The very young and very old, smokers, and people with flu or flu-like illnesses, may also be at greater risk after exposure to smoke from fires. • To minimise your exposure, limit the amount of time you spend outside in the smoke. People with asthma who may be in the vicinity of the fire should carry their inhaler. • If symptoms persist seek medical advice by calling NHS 111 or by contacting your General Practitioner (GP). If a medical consultant is already treating an existing health condition, discuss your concerns and symptoms with them. In the case of an emergency call 999. How long should these authorities spend on continuing investigations. This they knew about for well over a year and all they did was serve a notice on the proprietor which was ignored ! That is not good enough as they had the powers to enforce that notice. You would have thought this would have been cleared due to the dangers and no licence being issued. To allow it to go on was negligence by the Environmental Agency who should now pick up the cost of this huge operation or pass the bill on to the owner/tenant. There is too much reliance on red tape and not enough common sense in authoritative agencies and Councils these days, that’s why nothing ever gets done when warnings come in. It is just by luck that nobody has been directly killed with this incident, but a lot of people in Thanet have been badly affected with breathing difficulties and more, a lot of places have had to close because of the continued smoke, and many more have been stuck in traffic jams worse than normal. Somebody must be brought to book for it all and pay for the clean-up. No more passing the buck. Let’s hope that the tenant in occupation of the premises has been charged business rates and has paid those business rates . . . at least they will have then made a contribution towards the costs of this fiasco which will be borne by the taxpayers as a whole. I would imagine the building was insured, but for what? If any insurance company insured it against a fire risk, did this include storing combustible waste, probably not. So if its not insured, the owner should be held responsible for not ensuring the building was used according to their lease, and should pick up the tab! “Thanet District Council officers visited the site in May 2017 and reported concerns about waste to the Environment Agency. The agency has confirmed an investigation was carried out and is ongoing. The Environment Agency is a disgrace. This is an open and shut case of illegal waste which should have been dealt with promptly. They have dragged their feet and allowed the people responsible to evade responsibility for clearing the mess they have made. Now, the public is having to pay a massive bill for the emergency response, and the public is having to pay with their health. What is the point of the Environment Agency if they don’t use the powers they have. Surely a class action can be started by residents that have suffered? My house stanknof smoke for 4 days. My children, wife, myself and our dog were subjected to breathing Inthis toxic smoke. I feel that the community should try for compensation in this case. As others have said, outrageous that this was ignored by the EA. I remember this was on Bbc southeast today one evening a while ago and they wouldnt say where the building was in east kent ! You speak as if it is all over. I travelled along Ramsgate Road this morning and the smoke was still hanging. 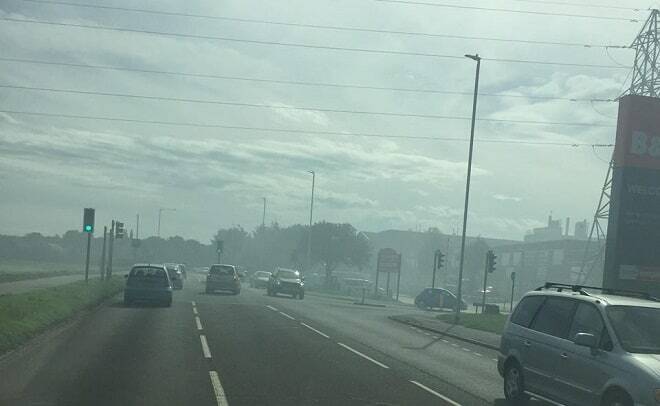 On St. Peters Road this morning there was still smoke and the most dreadful stench. It will be sometime before it is clear. Barry Lewis Nash Road had been opened in error and was closed again soon after by the Highways Agency. It was still closed this morning. there is now the potential for dioxins to enter the food chain from garden and commercial produce. Why is the fire being continually raked like a garden bonfire ? Wake up ! this is the 21st century, Manston has the technology to foam layer this problem in minutes or would that be too expensive ?